Anthony Butler thought he was a dead man. The born and raised New Yorker was shot in the head on a street corner in the Bronx in September 2008.
skipping court dates. He woke up the morning after he was shot handcuffed to a hospital bed. But there was hope: the bullet in his brain had taken his vision, not his life. Butler had a positive attitude, but he still struggled at times to adapt to life as a blind man. That’s when he decided to get into running, with the help of volunteers at Achilles International, an athletic group that pairs people with a variety of disabilities with running guides. There, he met Jessie Rix. And his life changed. Rix, a Minnesota native who in 2015 had just completed her first marathon, spotted Butler at her first meetup with Achilles. The two began running together, side-by-side, with a tether connecting them. In the beginning, they always ran in Central Park, where Butler was most comfortable. “He knows every bump in the road; he knows where every water fountain is,” Rix said. They talked about everything: Running, Butler’s past, Rix’s relationship, which was falling apart. The two come from what Rix describes as “different worlds. He grew up in the city; she in rural Minnesota. “I knew that Jessie would be reliable. I knew that she would be selfless and, if she would meet me at 5 a.m. for a run…she’s someone that I can depend on,” Butler said. Eventually, their friendship evolved into something more. Today, the two share an apartment in New York, and have run marathons together all over the world: in Paris, Chicago, Washington and California. Rix has guided Butler by the Seine and past the Eiffel Tower. He’s listened to her descriptions of the US Capitol and the Lincoln Memorial. They’ve sweated it out along the Chicago River. But learning how to help Anthony took time. 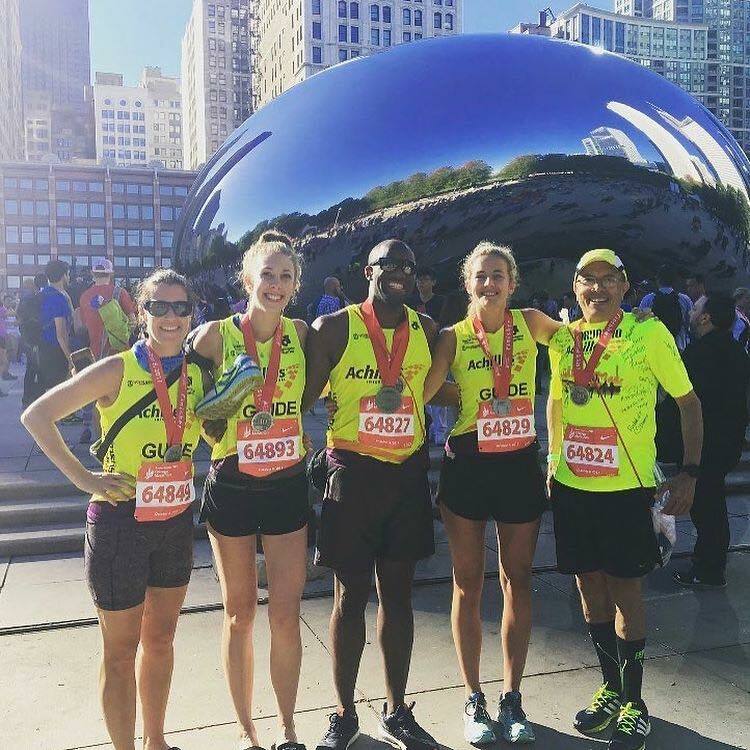 When Rix joined Achilles, she didn’t know the best way to guide some of the disabled runners. “The hardest thing for me… was just understanding properly how to interact with people that are blind or have some other disability,” she said. Rix had been running by herself for years. Now, with a partner, she focuses on being more present, so Anthony can experience the run with her.